Luton make the short trip up the M1 this Saturday to take on our relatively near-neighbours Northampton Town. As the Hatters prepare to take on the Cobblers, Luton supporters know that a win is a necessity. 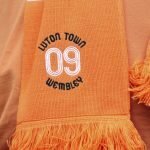 Our alarming slump in form recently has seen Luton struggle to pick up any points resulting in our drop away from the automatic promotion places and hanging on to a play-off place by the skin of our teeth. Luton currently have 58 points and sit in seventh, just outside the play-off pack are Plymouth and Stevenage, both of whom have 57 points. If Luton were to lose at the Sixfields Stadium this Saturday, they could slip out of the play-off zone and Northampton, courtesy of the three extra points, would only be two points adrift of us. That is how close it is at the moment, Luton just have to win his weekend. Ahead of the clash we have the early team news, starting with our hosts, Northampton Town, we have the following information for you. The Cobblers will give a fitness test to Diego De Girolamo who picked up a knock whilst on duty with the Italian U20 side. The Northampton manager, Chris Wilder, will be hoping that two injury doubts, Ricky Holmes and Evan Horwood will pass fitness tests. As for Luton, the situation isn`t so good. It looks as if John Still will be without the services of Elliot Lee and Fraser Franks, both of whom picked up knocks in the 3-2 defeat inflicted by Wycombe Wanderers on Tuesday evening. In goal, Elliot Justham is set to continue with Mark Tyler still injured. Finishing on a positive note; Jonathan Smith looks as if he will be available after missing the last three fixtures due to injury.